As a small business owner, it is imperative that you justify and track all money, and effort, spent marketing your company. Your time and money are valuable, and you want to make sure that you’re not wasting them. In the offline world it’s easy to ask customers how they found out about your business. Whether they answer truthfully/correctly is another story altogether. In the online world, we use something called analytics. Google gives a pretty good explanation of what analytics is on their website. Essentially, analytics is a tool that gives you a ton of information about your website. Many times, there is much more than you will ever use. But, small business owners can get a good handle for what is happening on their website with just a handful of metrics. 1. Unique Visitors – Unique visitors refers to the number of individuals that visit your website during a given period of time. Each visitor is only counted once, although they may view several pages while on your website. 3. Search Engine Traffic – This is the amount of traffic that is referred to your website by a search engine. This metric is important because it gives you an idea how effective your search marketing efforts are. 4. Bounce Rate – This is the percentage of visitors who come to your site through and then leave without clicking on any other pages. Ideally, you want a number below 40. Anything higher than that means that your audience does not like what they see. 5. Inbound Links – This is the number of external links to your site. For example, if Optiniche were to place a link in this post to your website, that would count as an inbound link for your website. This is an indication that people find your content useful enough to share it. The more high-quality links you have (from popular websites), the higher you will rank in the search engines. 6. Conversion Rate – This is the percentage of visitors to your site that perform a specific action. This is something that you set yourself and can be anything from signing up to your newsletter to buying an ebook. An average conversion rate is around 2-3%. 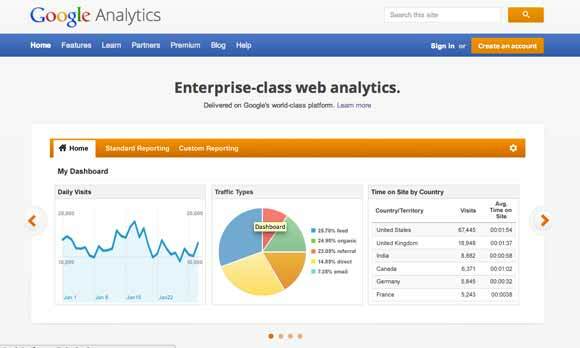 The easiest way to get started with analytics is to take advantage of Google Analytics. 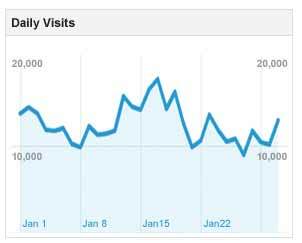 I’ll be the first to admit that Google Analytics is not the most intuitive software, but it is super powerful and free! With those assumptions, I’m going to suggest that you install Google analytics on your website using a plugin, specifically Google Analytics for WordPress. Here is a video below with an explanation of how to setup and use this plugin. Google analytics is not a set it and forget it system. It will take time to learn how to use campaigns and activity monitors, but the payoff for your hard work can mean the difference between your website being mediocre and being amazing in terms of conversion. Do you have any questions or suggestions for this article? If so, please leave them in a comment below.